Value Engineering (VE) in its original context is not a bad thing – it is a process conducted by engineers, contractors, building owners and others in the construction industry to optimize the resources (money, time, materials) available, without compromising the quality of the building. Unfortunately, it has become a cost-cutting practice that can compromise the building and sometimes results in higher costs for the owner. This is especially true when it comes to substituting plastic for cast iron. 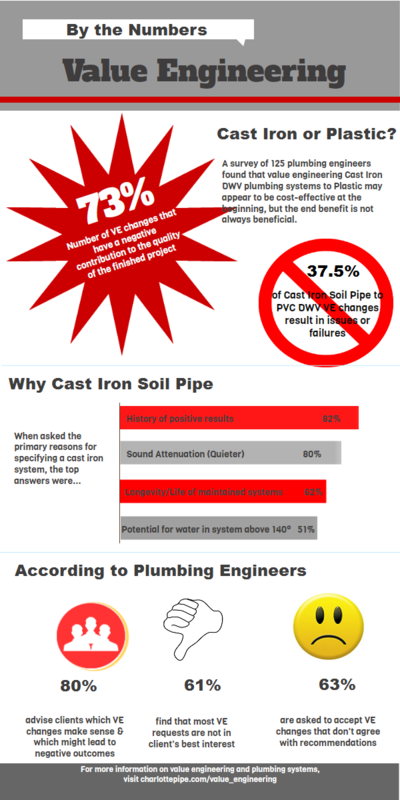 In fact, a recent study of plumbing engineers found that 61% of VE requests they received were not in the client’s best interest. There are solid reasons that an engineer specifies a product as the most suitable material for an application, and those reasons should be strongly considered during the value engineering process. To help in the decision-making process, here are a few resources that can help you decide whether to use cast iron or plastic pipe and fittings. These tools can also be used to help protect engineer’s specifications. Article Reprint: PVC or Cast Iron Soil Pipe for Commercial Underground Drainage? 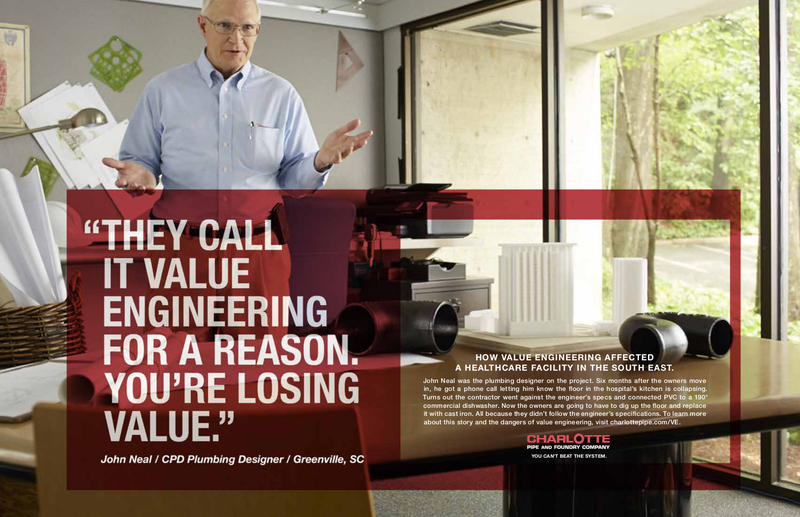 They call it value engineering for a reason. You're losing value. 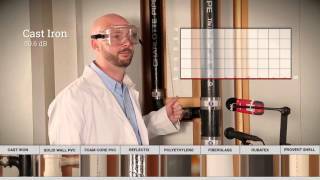 Experiment to measure sound in PVC and cast iron plumbing systems. Includes pipe and some installation options.